The S2 Standard 24s solid mahogany body and set mahogany neck give this guitar a distinctive resonance and powerful sustain. And when mahoganys rich, round, warm tone meets the 85/15 “S” pickups, there are plenty of clear highs and strong mids to be dialed in. 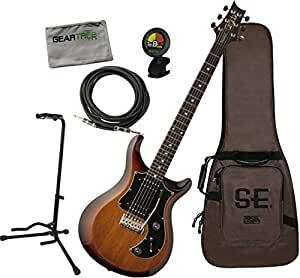 With its solid build and electronics platform, the S2 Standard 24 is a true players guitar that handles as well and sounds as good whether its plugged straight into your amp or running through your pedal board.